Alton Towers Resort are challenging visitors to ride six of the UK’s biggest roller coasters all on one day. If you’re brave enough ride The Smiler, TH13TEEN, Rita, Oblivion, Nemesis and Galactica. Anyone who achieves this can come back for free on weekdays between 6th and 30th September 2017. 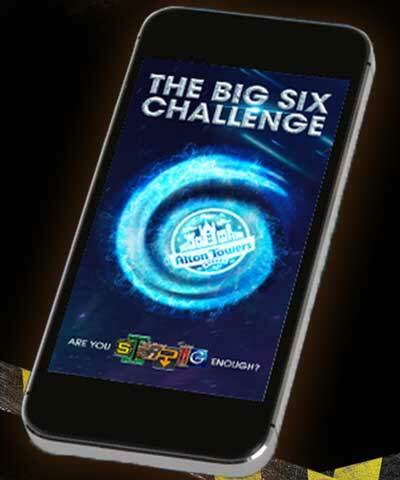 Track your progress with the Alton Towers Resort App from the App Store or Google Play, then just follow the instructions on the app to claim your prize. Save over £20 per person on Theme Park tickets when you book 5+ days in advance. Stay at The Laurels B&B and you not only save money by booking direct, you also collect loyalty points on our app to gain yourself a FREE night some time in the future!